Childish Gambino, born Donald Glover, is an American actor, writer, producer, director, comedian, rapper, singer, and songwriter. After releasing several albums and mixtapes himself, Glover signed to Glassnote Records in 2011, and released his first album, Camp, on November 15, 2011. 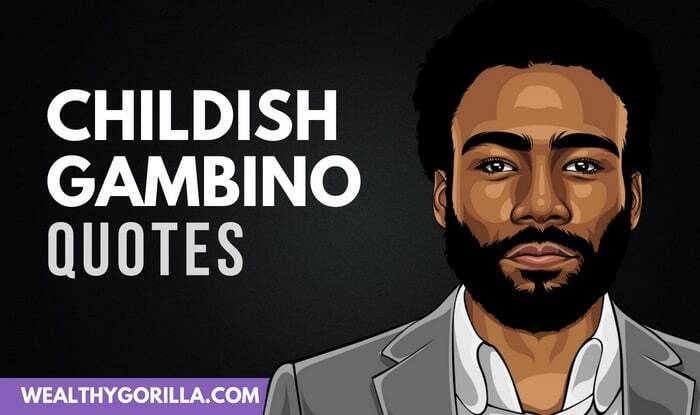 Thanks for viewing this collection of the best Childish Gambino quotes! Don’t forget to share them on social media. Which are your favorite Childish Gambino quotes? Leave a comment below.